The government have put in place laws and regulations to raise awareness of climate change. The aim is to force a reduction in the amount of CO2 being released from buildings as a result of burning fossil fuels. We started as a building surveying and building engineering practice. As time has moved on we have emerged as a leading UK new build energy consultancy and assessment house. We help with all building types – both domestic and commercial/industrial. We like to be involved at concept stage to ensure that the proposed design will actually ‘work’ in carbon emission terms. While this has been desirable in the past, it is now essential. Calculations need to be submitted for each individual building to building control at application stage. 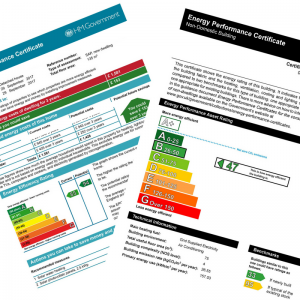 For building regulations, compliance is the minimum standard. Many local authority planning departments impose sustainability requirements to reduce carbon emissions further. We can help with these additional condition requirements. That is not to say we have forgotten all our building surveying and engineering skills built up over the last 25 years or so. We still use that knowledge and expertise to assist our professional clients in achieving compliance with the Building Regulations and often going that step further to reduce on-going running cost by design. We understand how buildings work! We become involved with projects at concept stage. This is a requirement in the Part L 2013. Calculations for meeting both the Part L target emissions and the fabric efficiency rates have to be provided. Keeping your fingers crossed and hoping a new building will meet the requirements is no longer possible. We also advise where the design is a little more adventurous. Planning authorities may also require an element of renewable energy in the design. Our wide ranging skills effectively produce viable solutions.